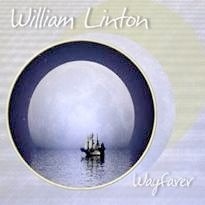 William Linton’s first solo piano CD is one of the most peaceful and restful piano albums I’ve heard in awhile. Often, “peaceful” implies simplicity and sometimes even a lack of substance, but that is certainly not the case here. While there is often open space between some of the notes and chords, the complexity lies within the free-form style and powerful emotional content. 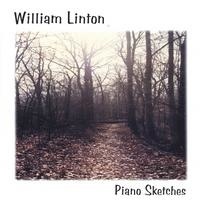 Linton’s previous two releases were ambient/electronic albums for the Space for Music label (I haven’t heard them yet, so I can’t make any comparisons), but Piano Sketches is an independent release, and what a gem it is! The pieces are similar in tempo and carry a somewhat melancholy mood, making this a gorgeous backdrop for other activities. On the other hand, if you listen with full attention, you will allow the beauty of the music to flow through you on a more conscious level. Solo piano work doesn’t often fall into the “ambient” category, but the lack of a structured rhythms or other classical and pop formalities gives the music a very improvised, flowing sense of freedom. It wanders where it wishes to go, taking your imagination with it. Most of the nine tracks are between four and five minutes long, allowing the themes to develop and evolve. All of the songs are beautiful and evocative, but I especially like “Out of Nothing”, which feels to me like a love song full of wonder at how something strong and powerful could be born “out of nothing”. This is truly an outstanding solo piano collection, and I very strongly recommend it. It is currently available from emeraldcastlemusic.com.